Strange vector landscape. Small sleepy pig with an unimpressed face standing along a tree with blank eyes and a strange color of the trunk. Butterflies flying towards the crown of the tree, small fluffy clouds and a big grumpy one in the sky. Free vector illustration for all nature, forest and cartoon design projects. 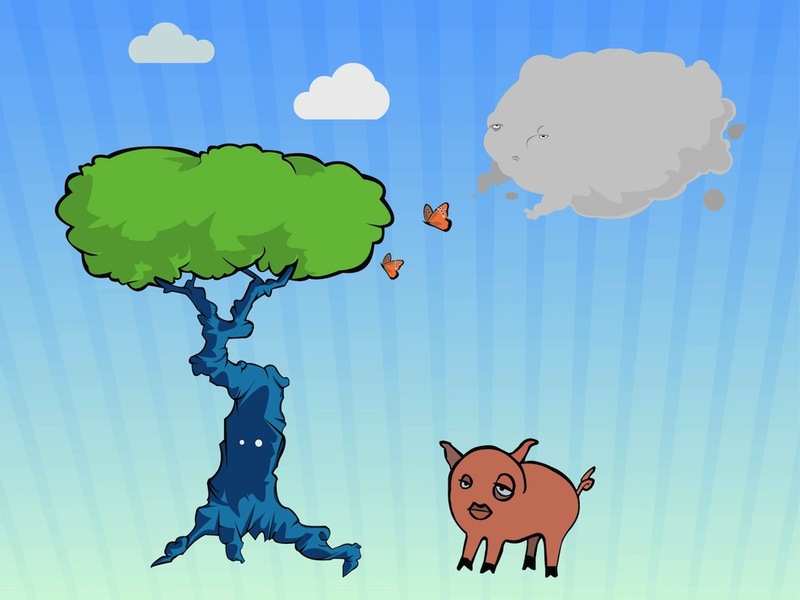 Tags: Butterflies, Cartoon, Clouds, Nature, Piggy, Piglet, Tree.